I’ve spent the better part of the last decade researching, trying to understand, speaking out, and raising awareness about the gang issue, specifically in Metro Vancouver. Metro Vancouver’s gang issue continues to be a multi-faceted and socio-economics issue. It has never been one cultural community’s sole issue and it never will be. But I will continue to assert that time after time, history has shown that different communities become more involved and prominent in street level crime at different times. 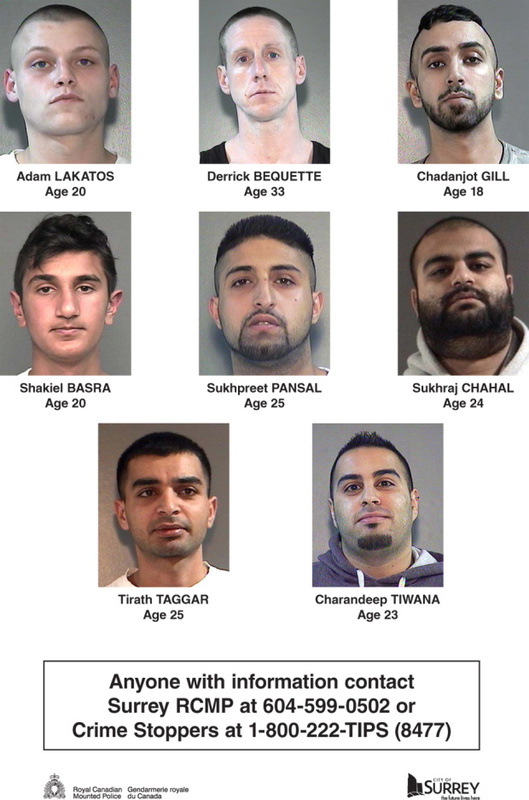 Of the 13 suspects identified by law enforcement in regards to this turf war, 11 belong to visible minorities, and 10 belong to the South Asian community1. As was the case in the mid to late 1990s and early 2000s, the young men of the South Asian community have yet again become the ‘wannabes’ of the criminal underworld. They wish for the notoriety of Bindy Johal and Bal Buttar types. They wish for the gold-collar lifestyle without the effort to work for it. They operate in the blindness that they are invincible and that they cannot fall victim to bullets. There are two types of crimes taking place; the crimes that these young men commit to ascertain this false life of status and the crimes of silence that the families of these young men live in. Harry Bains, MLA, has been a great supporter of my work in bringing awareness to the gang violence issue since I started my journey nearly a decade ago. His nephew’s involvement in criminal activity ended in murder, another young life claimed by this nonsensical violence. The question has been raised, did Bains know of his nephew’s involvement? His answer; no. Furthermore, the parents of the deceased also claim they had no knowledge of their son’s involvement. 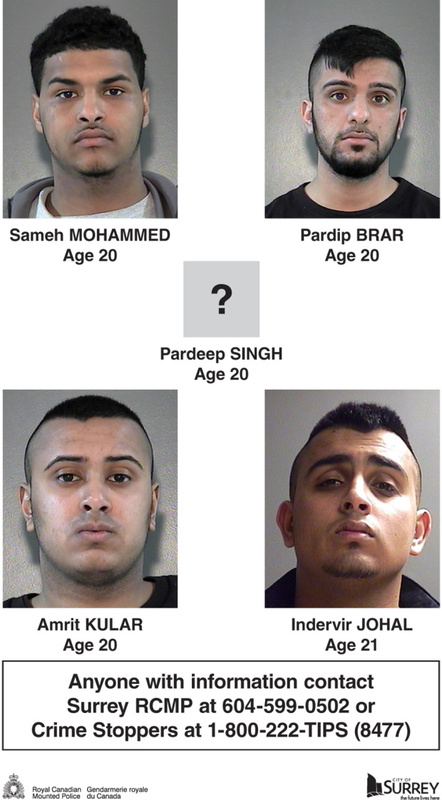 Yet law enforcement have publicly stated that Arun Bains, 22, was known to police. Many people including myself are very critical of this claim of ignorance. It is very hard to believe, that at the very least, the immediate family had no knowledge. On Thursday, April 23rd, Bains went on the CKNW’s Simi Sara Show to discuss this very issue2. He said that these young men are adults and do not share in what they do with their families. Yet these families allow these young men to live in their homes and live in comfort. Most do not go to post-secondary school or have jobs. When they ask for money, it is handed to them. If families can claim ignorance as to what their children are doing, then another issue is present; irresponsible parenting. On Tuesday, April 21st, a community forum was held at Tamanawis Secondary School in Surrey. Though this was an opportune time for Mayor Hepner to deflect the heat she had received for her ‘I’m not the sheriff’ comment, it was a valuable and much needed event. Having so many members of the community present shows that people are fed up, want change, and safe neighbourhoods. From experience, I know that these events are often polluted by glad-handing politicians simply there to show their presence and a Q&A session which becomes a finger-pointing match and a platform of blame. April 21st was no different. The simplest thing for communities to do is blame law enforcement for ‘not doing enough’. Comments such as these show a level of disrespect and disregard for our hard-working law enforcement that are the first ones to protect our safety and uphold the law. They exist in an enforcement capacity, first and foremost. Law enforcement has to function and work within the law and they are doing the best they can with the resources they have. To blame them is utter nonsense as people must never forget, the first laws children know are the laws set forth by parents. Also, law enforcement cannot operate in complete transparency as it would be detrimental to ongoing investigations. To build cases strong enough to put away these criminals takes months and years, not days. Our soldiers in blue, are our last line of defence, not our first. We must thank them for doing their part and we must apologize for the lack of support and communication we have given them. As a community, a tight-knit community, built on communal parenting techniques through close family friends and a large amount of extended family members, we have an advantage to help our youth at a level most communities could only hope for. But yet this same advantage is misinterpreted as a disadvantage, simply due to honour and pride. Every family from every culture has honour and pride. But to hide behind those two things only lays the foundations of denial and ignorance and sets off a chain of events that ultimately ends in death or jail. Is it honourable and prideful to have your son bloodied and laying on cold cement, never to wake up again? Is that the fulfilment you seek for your family? To the parents that are currently claimants of loving their children; do you love them enough to throw them in jail? To protect them from themselves? To ask for help when help is needed, regardless of the damage it could do to your family name? Because that is what love should be. Parents claim they would do anything for their children. To protect them at all costs. To work an abhorrent amount of hours to give them lives they wish they had. To give them opportunities that they could only dream of. When you go to the city morgue to officially identify that cold body as your once beautiful son, are those opportunities for your children you worked so hard for needed anymore? Did you protect them at all costs? No. For you, a name and a false sense of honour and pride were more important. There is a plethora of resources available and in multiple languages. Resources that help parents determine the signs of at-risk youth, find additional resources for them, notes on preventive measures, and methods of intervention. Furthermore, police departments have community policing designates and events. There are countless public speakers who are also available to shed light on the topic. My political views for the most part align with the NDP. However I disagree with John Horgan asking the Premier to provide further funding for resources that will help equip schools to better deal with youth and gang violence. During April 22nd’s Q&A period at Legislative Assembly, Horgan inadvertently assigned onus of the prevalence of the current issue to a lack of resources3. This is a fallacy. As Premier Christy Clark stated, it is not a lack of resources but a lack of information. We are blessed to live in a country that has so many public programs in place. I’ve been to countries that have a fraction of the resources we do but yet people better utilize them. It does not matter how many resources are available, positive change will not occur until mentalities change. And the current mentality within the South Asian community is to not communicate with law enforcement. Parents must first be willing to engage in open communication with their children, seek out resources when needed, and finally intervene when necessary. The point of intervention is easy to determine. Simply, when you sense something is wrong or that your children are walking down a dark and dangerous path, chances are, you are right. A parent’s intuition on the safety of their children is unmatched, it is your right to exercise such an ability. A community historically reluctant to cooperate with law enforcement now states that it is the backlash from such cooperation that is the real reason they do not wish to engage in communication. This so-called backlash does not exist. Anonymity and protection of witnesses and providers of information has always been a priority for law enforcement. It is not as though they would use you for all your information and then publicly out you. No, they would protect you. Why would they not protect someone who is trying to help? Another forum attendee mentioned that a lot of immigrant families come to Canada with a distrust for law enforcement because of the prevalence of police corruption in their native countries, such as India. Though one cannot dismiss such common claims about India’s law enforcement, that distrust should not follow you into your new country. As your experiences with Canadian police do not yet exist, one should be willing to take a chance on trust. After all, you left your native countries for a better life in Canada, therefore one would think you chose Canada because of its resources and all other great aspects about it. Finally, one parent stood up and said that youth as well do not want to cooperate with law enforcement and ‘rat’ on their peers because there is a stigma about cooperating with police. That being a ‘rat’ is a very negative thing to be. My simple statement to the parents; if you are not willing to cooperate with law enforcement, how can you expect your children to? If you are not willing to assign positivity to providing law enforcement with crucial information that can potentially save lives, then how can you ever expect your children to feel positive about sharing information with them? By parents not willing to communicate with law enforcement, not only do you stigmatize the same for your children and youth but children and youth will learn quickly, that not even their parents are worth communicating with. This lack of communication becomes a breeding ground for deceit and with it, becomes a systematic, cyclical, and closed-communication family structure. Our cities, our children, and ourselves are not beyond redemption. We can fix these issues through activism, advocating, and collaboration. In conclusion, I implore the members of my community to imagine what our cities would be like if there were 100s of gang related crimes and dozens of lives lost annually. Sadly, one need not imagine such a reality as that is the present landscape we live in. Instead imagine our cities, free of bullets falling from the skies, our sons walking the path of righteousness, and one day communicating openly with your future kin.